Sharp officially joins in the Micro Four Thirds system ahead of its 8K MFT camera announcement. According to the press text, Sharp Corporation now supports the Micro Four Thirds standard and will add new Micro Four Thirds products to their line-up with the driving force behind 8K imaging technology. 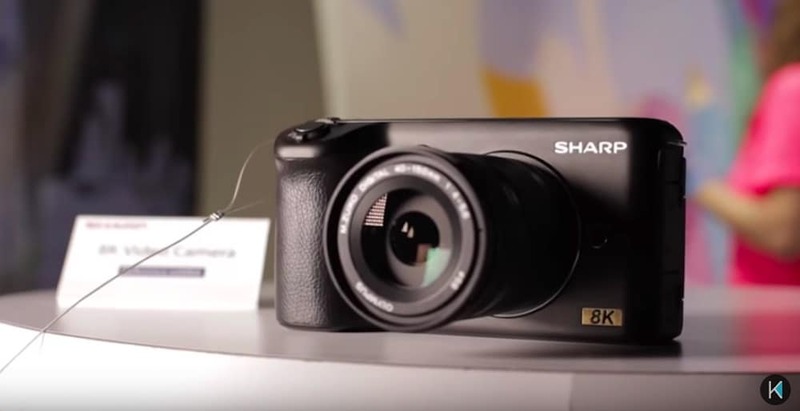 The new Sharp 8K Micro Four Thirds Camera spotted by Kinotika at CES 2019. It will be priced around ¥300,000 to ¥400,000 yen (approximately $2,800 to $3,700). Shipping is scheduled to start in Summer 2019. First specs of the Sharp 8K Micro Four Thirds camera is 8k video recording at 30fps in H.265 codec. More details after the break! Stay tuned with us for more information. Also join the Micro Four Thirds Camera Users Facebook Group to share your Panasonic and Olympus photography.